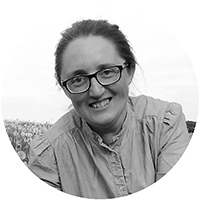 Elizabeth Cadd is a self taught watercolour artist, experienced printmaker, pattern designer and graphic designer. She has worked as a freelancer for over 15 years. Elizabeth enjoys nature and the visceral experience of connecting with the natural elements in the landscape. Her printmaking and pattern design work is often experimental, intuitive and vibrant. Her colour use has intensified in recent years as she ventures into more abstract work. She explores memories of being in the countryside or on the coast through her work whilst refering to plants, flowers and materials found there. June 2018 Open Studios, Tetchill, Ellesmere. May 2018 Borderlands Visual Arts Group Exhibition, Willow Gallery, Oswestry. May 2018 Ellesmere College Art Exhibition, Shropshire. Dec 2012 - Ludlow Assembly Rooms, (solo show). 20:20 2012 - Hot Bed Press Print Exchange. 10 years of the Regional Print Centre Group Exhibition. Aug 2012 - Greenwood Centre Cafe, Ironbridge. July2012 - Lena's Art Cafe, Coalbrookdale, Ironbridge. Oct 2011 - Backstairs Gallery, Oakham. Sept 2011 - Down to Earth, Whitchurch, Shropshire. Sept 2010 - The Greenstage Gallery, Bishops Frome. August 2010 - The World’s Biggest Gallery, Craven Arms. August 2010 - Theatre Severn, Shrewsbury, (solo). July 2010 - Down to Earth, Whitchurch, Shropshire. July 2010 - Gallery SCA, Shrewsbury. June 2010 - The Gallery, Bishops Castle. June 2010 - The Hive, Belmont, Shrewsbury. June 2010 - Ellesmere Art Fair. June 2010 - SPACE, Ellesmere, Shropshire, (solo). May 2010 - Dee Fine Arts Open Exhibition, Heswall. April 2010 - Life & Landscapes, Oswestry Visitor & Exhibition Centre (solo).